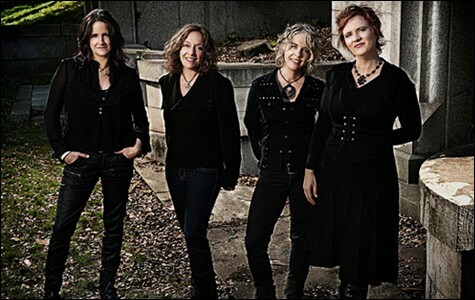 The four women in Blame Sally light up a club when they launch into one of their feel-good tunes. They're all charismatic performers, but they've endeared themselves to their fans by becoming anti-rock stars. They're warm and approachable, both on stage and off, treating fans like an extended family. The band members put their heart and soul into every note, and while they have an identifiable sound, their music defies easy categorization. They're as likely to play a mellow folk ballad as a flat-out rocker, or follow a moody pop tune with some country funk. So said Monica Pasqual, who sings, writes, and plays keyboards in the band. "It's not a challenge for us, but when we try to market ourselves, it gets tricky," she said. We have a style that's recognizable, but it's built on a lot of influences, based on our individual backgrounds." Pasqual went on to explain that, as a trained classical pianist, she doesn't play in the usual "bluesy" style. Guitarist and bassist Jeri Jones came up in country, folk, and funk bands. Renee Harcort, who also doubles on bass and guitar, learned the American songbook at the behest of her jazz-pianist father. Drummer Pam Delgado sang in a Top 40 band as a teen. "She's a good R&B vocalist and has a Mexican feel to her playing," Pasqual said of Delgado. "So when we play together, or arrange a song, we don't have anything to limit our imagination." Its wide-open style and willingness to take risks allowed Blame Sally to build a singular niche. The band has always been more concerned with writing good songs than with trying to find a comfortable marketing strategy. "We don't know how it happened, but we've been able to make a living as Blame Sally," Pasqual continued. "Our career plan was to say, 'To hell with a career plan.' We decided to make the music we love and only play gigs we think are fun. We decided we were not gonna lie about our ages and the band was going to be a full democracy. We went against everything that was drilled into us when we were trying to 'make it.'" The band cut its teeth roughly a decade ago, playing at Bizarre Cafe in San Francisco. Then the women booked some festival dates, sold a few T-shirts and CDs, and started hustling in earnest. "Things just kept building," Pasqual said. Grit, a good work ethic, and an auspicious deal with Berkeley label Ninth Street Opus helped the band survive turbulent times in the music industry. "What we do has always been separate from 'the biz' anyway," Pasqual said. "If you're willing and able to put on a good live show, you can make a decent living. The old major labels were like insurance companies. You had to pay them a huge premium, but in the end the patient, and the music, always died." 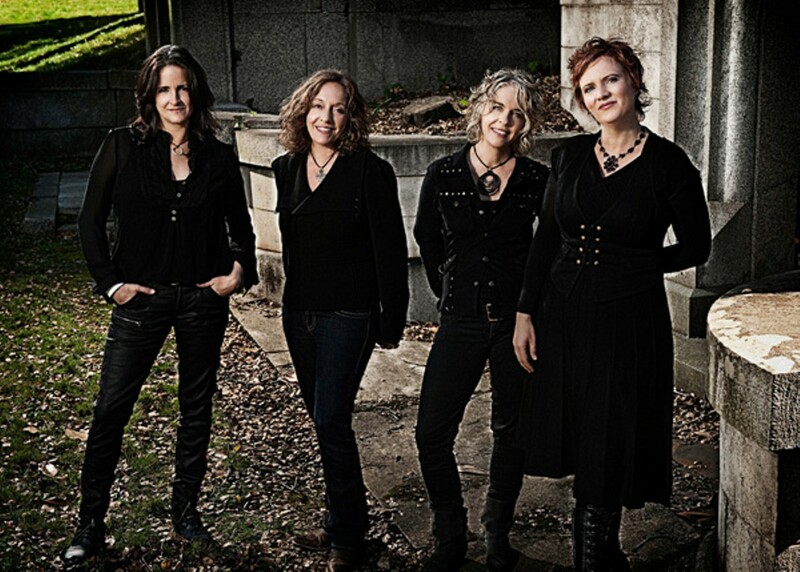 On their new album, Speeding Ticket and a Valentine, members of Blame Sally showcase their considerable songwriting chops, soaring harmonies, and sterling musicianship on ten impressive tunes. "Bird in Hand" is a lilting country/folk song, with a poignant vocal by Pasqual, supported by Jones' big, twangy Spaghetti Western guitar fills. "Living Without You" is a stomping rock tune with an instantly memorable chorus and great harmonies. "Countdown" is a wry protest song with a funky Latin feel and an uplifting chorus, while "Take Me There" is a moody ballad, with Pasqual delivering another touching vocal. Blame Sally produced the album with the help of Ninth Street Opus engineer BZ Lewis. In fact, the band has produced all its records, with the exception of 2009's Night of 1,000 Stars (on the Opus Music Ventures label). It cut early albums in Harcort's basement, and currently records in a plush studio with lots of keyboards. Pasqual said the band would lay down tracks between tour dates, often in a compressed period of time. As a result, Speeding Ticket has the feel of a live album. On each track, the heart, soul, and charisma of Blame Sally is as palpable as the anti-rock star ethic.